We're also making a digital record of their history for our Club Archives and for our website... as we fast approach our 50th year. Ray was brought up in the Melbourne suburb of Moonee Ponds, and was advised that his high school interest in Biology could best be channelled into a useful career as a vet. However this meant going to Sydney University, which he did for four years, with his expenses paid for by a Victorian Department of Agriculture Cadetship. He did very well academically , qualifying for entry into a PhD program, but his cadetship meant he had to go back to Melbourne after graduation and begin a really boring job as a trainee District Veterinary Officer. Fortunately a Nuffield Foundation Grant became available early that year so he resigned his position in Victoria and returned to Sydney, graduating with his PhD in 1969, the same year as he paid off his cadetship and got married to Anne. 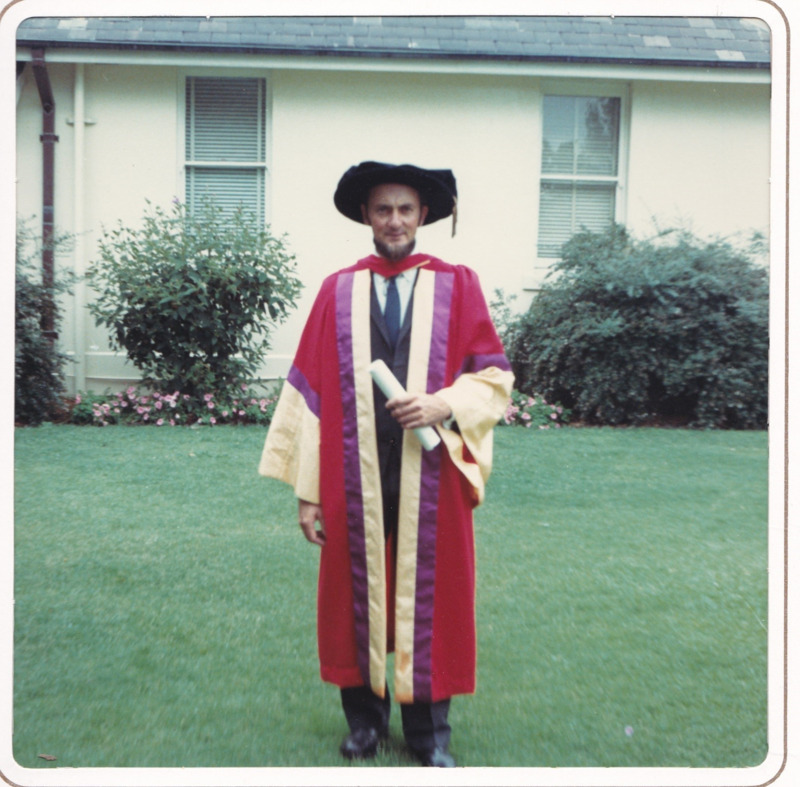 His consequent appointment as a Lecturer in Veterinary Physiology was the beginning of a career that saw him develop high-level research skills especially during two extended periods overseas on sabbatical leave, and led to his eventual appointment as a Foundation Professor in the new Veterinary School at Murdoch University in 1975. This occurred soon after he was awarded his second doctorate in 1973, the highest veterinary degree at Sydney University, Doctor of Veterinary Science, for his highly significant research into in-vitro embryo growth using mouse embryos, the forerunner of the now, common-place, IVF programs for humans. At Murdoch he also chaired the Arts Acquisitions Committee, an interest he developed thanks to his wife Anne, who was an accomplished artist. He held the position of President of the Murdoch University Academic Staff Association for 15 years and was also Federal Treasurer for five years during the introduction of a uniform nationwide superannuation scheme for university staff. He was honoured for his work with the award of Life Membership of the Federal body. In addition, Ray chaired the Board of Theological Studies at Murdoch for 16 years, providing degree level programs for all mainstream Christian denominations in WA, for the first time. Ray and Anne chose to live in Applecross because they thought the local high school would be a good match for their three teenage children (two girls and a boy), and the house was chosen because of its very large garden behind the house related to Anne’s strong horticultural interests. It was a good choice in another way – one of the neighbours was a Rotarian, Ernie Dillon, who invited Ray to come over to meet some friends, and talk about Rotary. A week or so later Ray was invited to formally apply to become a member of Applecross Rotary, and he was inducted on 15 October 1976. His membership was not continuous though, as under the old rules he had to resign from Rotary while he was on sabbatical leave overseas. Ray retired from Murdoch University in 1996, the same year that Anne died, and he sought solace in taking up her love of painting, as well as learning to sing. Ray took singing classes for many years and still sings in the Trinity School for Seniors Choir, where he now takes a Music Appreciation class every Friday. 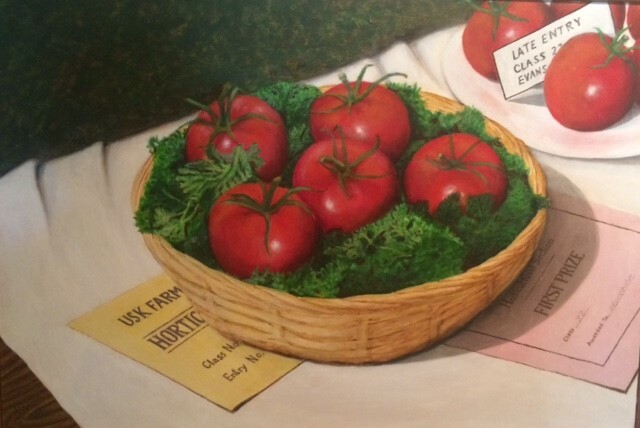 His son Peter is also an artist, and spent his first three years after graduating from UWA medical school, painting. He and Ray shared an exhibition “Like Father” at Fremantle Arts Centre some years ago, and although they didn’t know what the other one had painted, because Peter was in Melbourne and Ray in Perth, several of their pieces were virtually identical. One of the reasons Ray joined Rotary was for the Fellowship – he and Anne had moved to a new city where they knew no-one but understood they needed to find friends from outside the Murdoch community. Ray has never regretted his decision for a minute. And it’s the Fellowship that keeps him coming back every week, doing his bit where he can, like sourcing the wine for the Heads ‘N Tails and the Fellowship sundowners. Ray has also served on a District Committee, interviewing and selecting Rotary Ambassadorial Scholars, a task he greatly enjoyed. 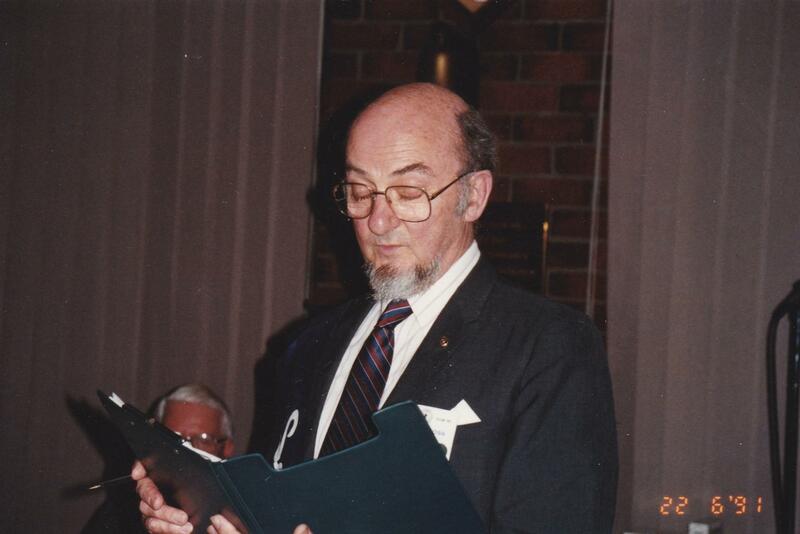 When Ray was our President in 1999-2000, he raised the topic of admitting women as members of Applecross Rotary. “I had my head bitten off!” Fortunately he and others persisted and his proudest moment as a Applecross Rotarian, was watching the induction of Lorri Brazier by President Mal Taylor, on 7 October 2002. But that, as they say, is a story for another time!